At 11pm on 3 January 1996 Shar Marie Muller was admitted to the Royal Hobart Hospital Tasmania by Police after she was found wandering on the Tasman Bridge. She left at 0130 hrs and has not been seen since. Record of Investigation into Death (Without Inquest) Coroners Act 1995 Coroners Rules 2006 Rule 11 I, Olivia McTaggart, Coroner, have investigated the suspected death of Shar Marie Muller. The investigation of deaths in Tasmania is governed by the Coroners Act 1995. Section 21(1) of that Act provides: “A coroner has jurisdiction to investigate a death if it appears to the coroner that the death is or may be a reportable death.” ‘Death’ is defined in section 3 of the Act as including a suspected death. ‘Reportable death’ is defined in the same section as meaning, inter alia, a death which occurred in Tasmania and was unexpected or the cause of which is unknown. Thus if a Coroner suspects that a person has died and the death meets the definition of a reportable death, then the Coroner has jurisdiction to investigate. For reasons which will become apparent in this finding I am satisfied that jurisdiction exists to investigate the disappearance of Shar Marie Muller. Find That: (a) The identity of the deceased is Shar Marie Muller (Ms Muller); (b) Ms Muller died in the circumstances described in this finding; (c) Ms Muller died on 4 January 1996 at Hobart in Tasmania; (d) Ms Muller died as a result of injuries sustained by jumping from the Tasman Bridge in Hobart; and (e) Ms Muller was born in Hobart on 2 August 1970 as Jennifer Marie Shaw. She was aged 25 years at the time of her death. She was single and in receipt of a disability pension. Background: Shar Marie Muller was born in Hobart as Jennifer Marie Shaw on 2 August 1970. In 1990, while in South Australia, she changed her name to Shar Marie Muller. Ms Muller is said to have been a good student at school. However from around the age of 17 years she suffered frequent mood swings and commenced to suffer suicidal thoughts. At around the age of 18 years Ms Muller moved away from home to live independently. She spent time travelling in Europe before returning to live in Adelaide in about 1992. She then moved to Victoria to live and, during this time, she was diagnosed with Borderline Personality Disorder and substance abuse issues. In 1994 she returned to Hobart to recover from injuries suffered in an accidental fall. Her associated medical records noted her continual suicidal ideation. Dr Jim Blacket, Clinical Director of Mental Health Services South, provided a report for the coronial investigation. Dr Blacket stated in the report: “There was a history of using cannabis and alcohol from the age of 13 years and past presentations with alcohol intoxication and overdoses of prescription medications. She had a past admission to a drug and alcohol rehabilitation unit at Pleasant View Centre in Victoria. She had multiple admissions to Tasmanian inpatient mental health units in 1995 following overdoses of medications and deliberate self-harm. There were transient psychotic symptoms of paranoia and hallucinations with some of her presentations and she was placed on an antipsychotic medication, risperidone 3mg BD. Her psychotic symptoms were eventually explained by ongoing poly substance use including intravenous opiates. At other times her presentation was one of depression and she received ECT three times before refusing to continue with treatment. Her final diagnosis was Borderline Personality Disorder and substance abuse. Circumstances Surrounding the Death: At the time of her disappearance Ms Muller had been living with a friend, Rachel Cuthbert, for about six months. Elizabeth Muller, Ms Muller’s mother, stated that her daughter had become disengaged from her family in the months before her disappearance. On the evening of 3 January 1996 Ms Muller left home at around 8.30pm. She was discovered by police on the Tasman Bridge, ‘enjoying the view’. At 10.40pm police responded to a second call that Ms Muller was on the Tasman Bridge and took her to the Royal Hobart Hospital. She left the hospital after a short time of her own accord. Just after 2.00am the following morning, police again responded to a report of a person sitting on the rail of the Tasman Bridge but were unable to locate anyone. I find that that that person was likely to have been Ms Muller. Ms Muller was reported missing on the morning of 4 January 1996 when notes, believed to have been written by her, were located in her home. These indicated a hope to have jumped from the bridge and also left instructions for the disposal of her assets. I am satisfied on the evidence that the notes were written by Ms Muller to Ms Cuthbert in contemplation of Ms Muller taking her life. A police investigation into Ms Muller’s disappearance commenced at the time of the initial report. Unfortunately, all enquires since this time have not been able to locate Ms Muller. Crime Stoppers received six reports of possible sightings. These have all been discounted by careful investigation. I am satisfied that none of the sightings were sightings of Ms Muller. In August and September 2012 checks were conducted with Tasmanian prisons, the Electoral Commission, all relevant government agencies, ten of the most commonly used financial institutions, and all State and Territory police jurisdiction information holdings, transport systems in each state, Centrelink and Medicare. I am satisfied on the evidence that, tragically, Ms Muller jumped unobserved from the Tasman Bridge with the specific intent to end her life. I am satisfied that she died in this manner. There is no indication of the interference, assistance or knowledge of any other person in such action. My conclusion as to how Ms Muller died is supported by her recorded history of mental health issues and long term suicidal ideation, a recent attempt to end her life using carbon monoxide, the clear intention expressed in her notes and her witnessed presence on the Tasman Bridge on the evening of 3 January 1996 as well as in the early hours of 4 January 1996. I am satisfied that the investigation into the disappearance of Ms Muller has been thorough, with ongoing investigation taking place over many years. I extend my appreciation to Constable Olivia Smith for her detailed report to me. 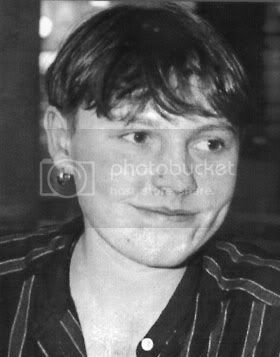 Comments and Recommendations: The circumstances of Ms Muller’s death are not such as to require me to make any recommendations pursuant to section 28 of the Coroners Act 1995. In concluding I convey my sincere condolences to the family and friends of Shar Marie Muller.